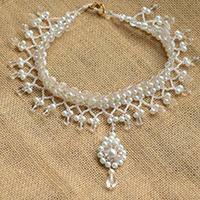 Wanna try an elegant pearl stranded choker necklace at home? Here is a detailed guide for you! 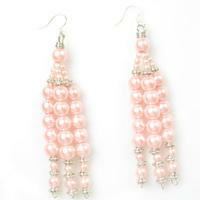 In this tutorial, you will learn an easy way to make a pair of pearl ball drop earrings for brides. Follow the steps bellow to have a try. 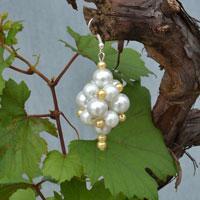 There are many pearl jewelry on our website. 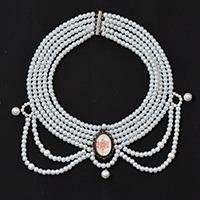 In this tutorial, I will show you how to make a bridal pink and white pearl bead statement necklace. 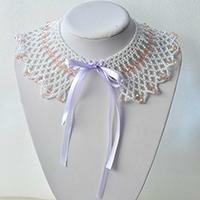 In this article, I'll share a fashionable design for bride with you. 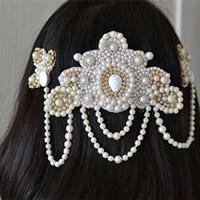 Keep reading and you can know how to make this bridal comb headpiece. 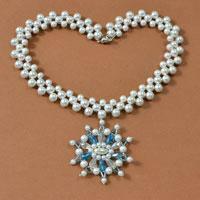 Recently we have offer many free pearl bracelet patterns. Hope you like this pearl bracelet for bridesmaids. Now let's see how to make the cluster pearl bracelet in the video! 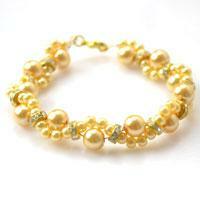 Create this stunning bracelet using sparkling golden chain and elegant pearls in a bead-woven pattern. 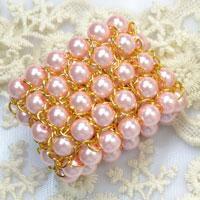 This beautifully bracelet is fun to make and will be a super great accessory for bridesmaid. This couple of long wedding earrings is so easy for you to make, don’t miss it if you like to diy wedding earrings. 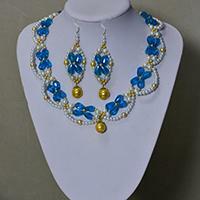 This is a ribbon and pearl necklace for wedding, you can make you own pearl wedding necklaces through this tutorial. Look for pearl bracelet tutorial for wedding? Today, I will share you how to make a bracelet with pearls. Don’t leave, the result will be fab! 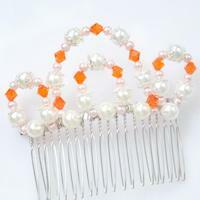 This pearl wedding hair comb is made for bridesmaid; hope you like this crown Wedding Hair Comb. Today I will show you how to make wedding earrings, I hope you will like this couple of wedding hoop earrings. In this long pearl chain necklace DIY, I’m going to show you how to make a twisted pearl necklace. It is rather easy and only takes 15 minutes to finish a twisted pearl necklace DIY! Do you like to make fresh flower hair comb by yourself? 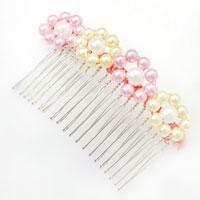 In today’s tutorial, I am going to show you how to make a flower hair comb with pearl. Hope you will like! 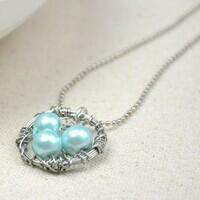 Do you like this crystal pearl necklace? 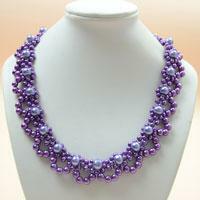 Today I will show you how to bead a necklace. 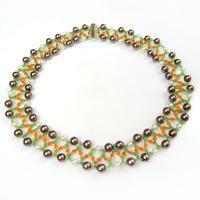 This simple tutorial will guide you how to make a double strand beaded necklace. Let’s begin now! 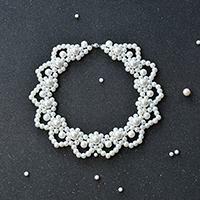 Pearls are always in fashion, and today’s video on beading a pearl lace necklace makes wonderful addition to any jewelry box, especially the bride’s.